In Maxchief Investments Ltd. v. Wok & Pan, Ind., Inc., [2018-1121](November 29, 2018), the Federal Circuit affirmed the district court’s dismissal of Maxchief’s declaratory judgment tortious interference claims, because of lack of personal jurisdiction over Wok. Wok sued Staples in California for infringement of Wok’s U.S. Patent Nos. 5,957,061, 8,881,661, 8,931,421, and 9,089,204 on folding tables, Staples demanded the distributor Meco defend the action pursuant to an indemnity, and Meco demanded that Maxchief defend the action pursuant to an indemnity. Maxchief brought a declaratory judgment action against Wok in the Eastern District of Tennessee, alleging specific personal jurisdiction. The district court held that Maxchief failed to allege that Wok had sufficient minimum contacts with Tennessee, because although Wok sought to enforce the patents against other parties in other courts, Wok did not seek to enforce its patents in the forum state of Tennessee. contacts with the forum state only if those contacts relate in some material way to the enforcement or the defense of the patent, and thus the minimum contacts prong requires some enforcement activity in the forum state by the patentee. It is not enough that Wok’s lawsuit might have “effects” in Tennessee, rather, jurisdiction “must be based on intentional conduct by the defendant” directed at the forum. The Federal Circuit concluded that Maxchief had not established that personal jurisdiction over Wok is proper in Tennessee, and affirmed the district court’s dismissal of Maxchief’s complaint. In Hamilton Beach Brands, Inc. v. F’Real Foods, LLC, [2018-1274](November 16, 2018) the Federal Circuit affirmed the PTAB’s Final Written Decision upholding the validity of claim 21 of U.S. Patent No. 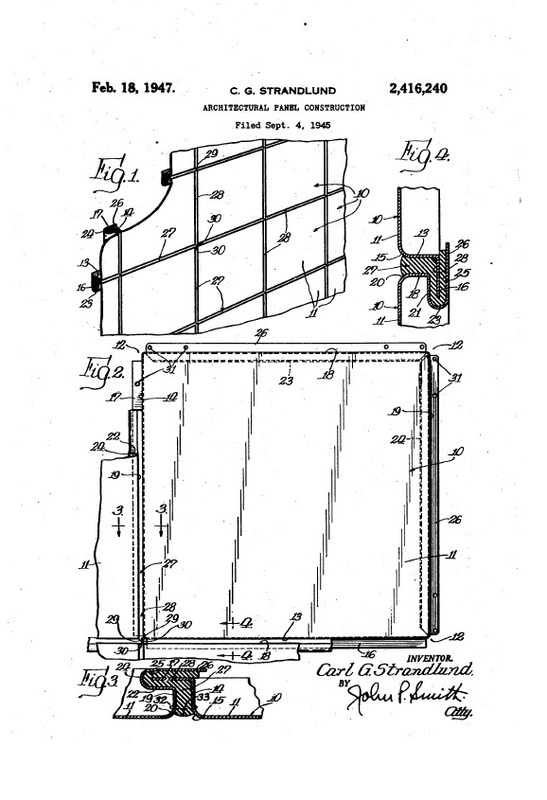 7,520,662, on a rinseable splash shield and method of use, covering a shield for the vessel of a mixing machine. As a preliminary matter, the Federal Circuit ducked the question of whether the IPR was barred by Section 315(b) because F’Real failed to appeal the Board’s decision that the IPR was not time barred. Hamilton Beach had actually been served with a complaint for infringement of the ‘662 patent more than a year before the IPR was filed, but at the time F’Real did not own the patent, and thus did not have standing. Thus the Federal Circuit’s Click-to-Call decision was not necessarily controlling, but the Federal Circuit declined to decide whether 315(b) applies to a complaint served by a party without standing. The Board concluded that the references did not teach a rinse nozzle at a fixed location relative to the shield, and that in any event objective evidence of non-obviousness outweighed the evidence of obviousness. Hamilton Beach argued that the Board violated the Administrative Procedure Act by changing claim construction theories midstream without providing the parties an opportunity to respond, and additionally erred in construing the “nozzle” terms so as to require that the nozzles be pre-positioned. The Federal Circuit found that Hamilton Beach received adequate notice of the claim construction adopted by the Board in F’Real’s post-institution response regarding the nozzle terms, as shown by the fact that Hamilton Beach argued against F’Real’s proposed constructions in its reply brief and during the oral hearing. The Federal Circuit further found that the Board’s final adopted construction of the nozzle terms, while not identical to those proposed by F’Real, were similar enough to F’Real’s proposed constructions so as to not constitute changing theories midstream in violation of the APA. Because the Federal Circuit affirmed the Board’s findings regarding the failure of the prior art to teach or suggest all limitations of claim 21, it did not address Hamilton Beach’s assertions of error in the Board’s consideration of the objective indicia of nonobviousness. In In re: Oath Holdings Inc., [2018-157] (November 14, 2018), the Federal Circuit granted Oath Holdings petition for mandamus, and remanded the case with the district court with the instruction that the district court either dismiss or transfer the case. In March 2016, Oath was sued for patent infringement in the United States District Court for the Eastern District of New York. While Oath conducts business in the State of New York, it is incorporated in Delaware, and it does not have “a regular and established place of business” in the Eastern District. Within 21 days of the Supreme Court’s decision in TC Heartland, although it had answered the Complaint, Oath filed a motion pursuant to Rule 12(b)(3), to dismiss for improper venue. The district court found that Oath had waived the right to challenge venue. Oath petitioned for mandamus, but because the Federal Circuit in Micron said TC Heartland effected a relevant change in the law, such that failure to present the venue objection earlier did not come within the waiver rule, the Federal Circuit instructed Oath to raise the matter with the district court. Oath did, but the district court did not change its ruling, so Oath filed a second petition for mandamus. court’s reasoning in nevertheless standing by its initial conclusion, we think that this case involves the narrow and exceptional circumstance in which mandamus is important for proper judicial administration. The Federal Circuit rejected respondent’s argument that Micron does not apply because it arose under First Circuit law, while the present case arises under Second Circuit law, concluding that issues of waiver or forfeiture of patent-venue rights under §1400(b) and §1406(a) are governed by Federal Circuit law. The Federal Circuit went on to observe that there was no Second Circuit precedent that would suggest a different result than in Micron, and thus Micron answers the entire question of waiver under Rule 12(g)(2) and (h)(1) for purposes of this case: there was no such waiver. These are Lustron houses conceived by Carl Strandlund, and patented in 1947 to alleviate the housing shortage after World War II. The Lustron Corporation sold 2,498 Lustron homes between 1948 and 1950. 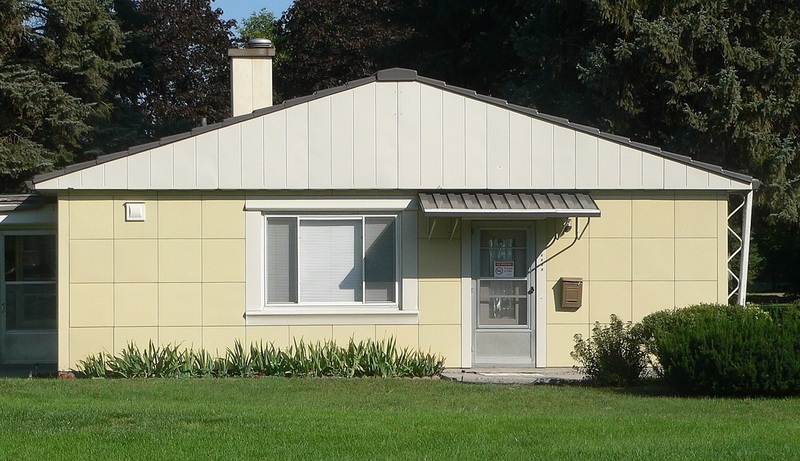 Lustron offered a house that would “defy weather, wear, and time,” and about 2000 of these houses survive today.